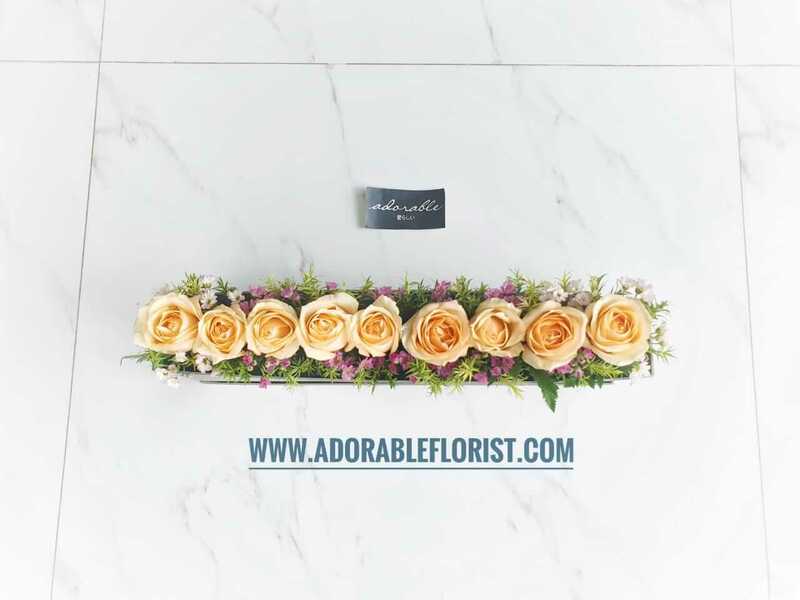 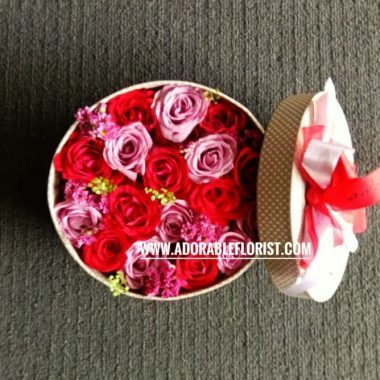 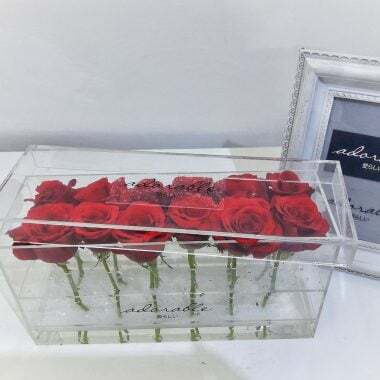 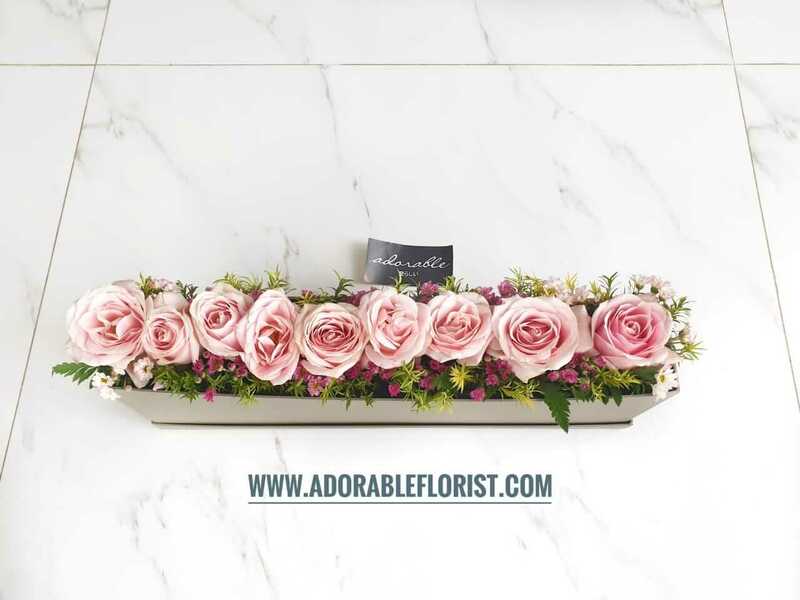 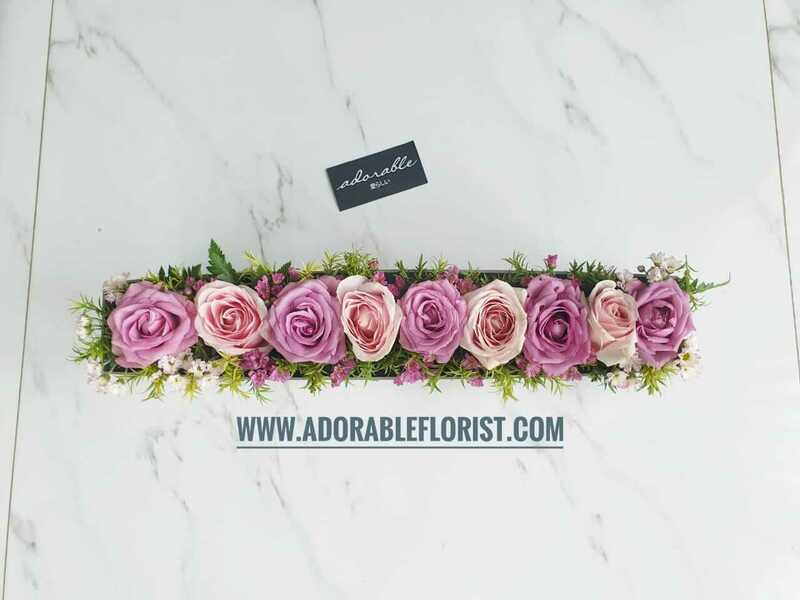 Rrangkaian bunga rose dirangkai dalam box custom dengan ukuran box 45 cm x 7 cm x 15 cm terdiri dari 9 pcs rose dan bunga pemanis. 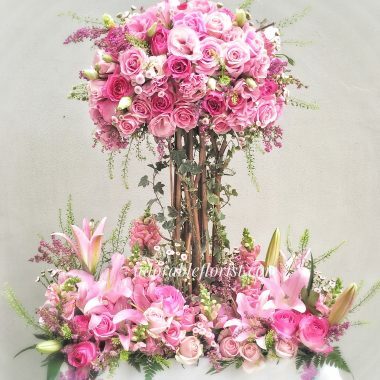 Silakan berikan catatan disaat order tema apa yang dipilih. 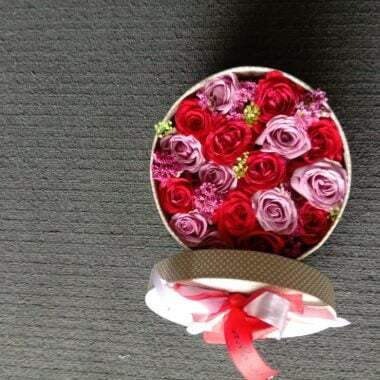 I.E : vase, soft toy, basket etc. 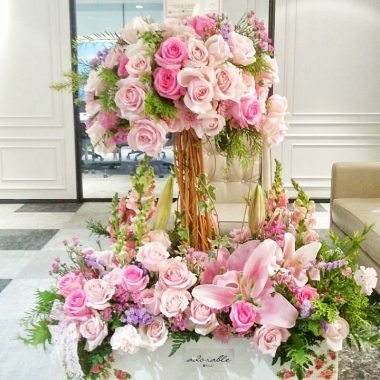 If so required, we will substitute the material to equal or greater value, and we will ensure that the \\'design and quality\\' of the arrangement will be maintained.